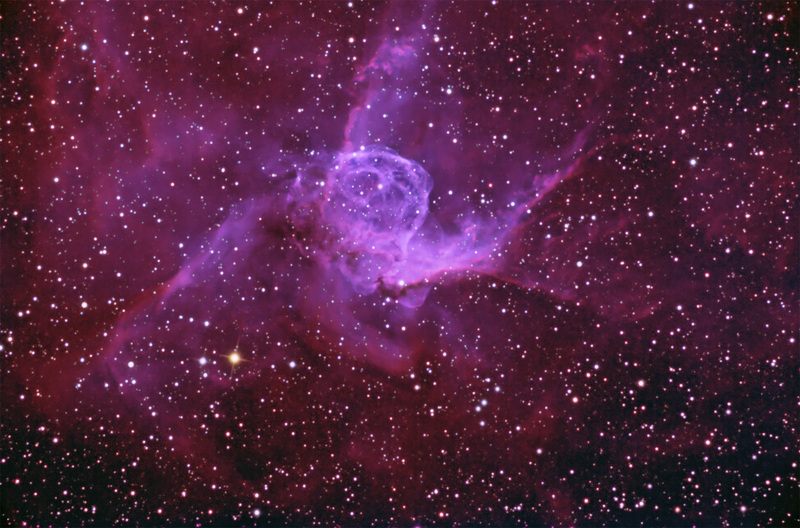 NGC2359 is a Wolf-Rayet (WR) nebula powered by the strong winds from massive WR star HD56925. It is a spectacular example of the interaction between dense stellar winds and the interstellar medium. The "U" shaped region of diffuse HII is thought to have been created by the O-star ancestor of the WR star. The egg-shaped, wind-blown bubble is rich in OIII and H-a that is colliding with the diffuse HII region on its eastern side. 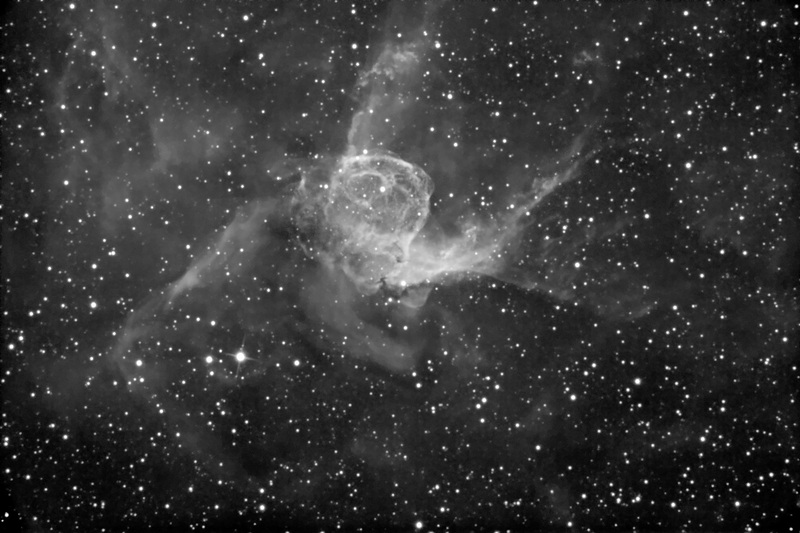 It is thought that the H-a emission comes from three different origins: diffuse emission from from the large HII region, and from the bubble, both thick filaments which are stationary and a thin expanding membrane which is overruning them. The WR star represents a stage in massive-star evolution that immediately precedes a supernova explosion.